As an award-winning marketing and PR veteran, I have always tried to give back in some way to a good cause. Whether I was running my agency and helping non-profits, or providing pro-bono services for various projects at my daughter’s school, I always knew the importance of giving back. There are countless good causes always needing a hand. However, it wasn’t until the last few years that I made an important decision to focus pro-bono and volunteer time on causes that were close to my heart – both for personal reasons and to ensure that my energy and expertise would really be targeted to make a difference. 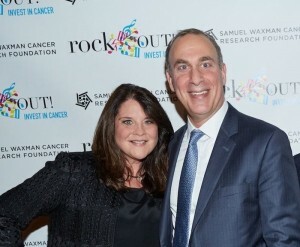 In the spring of 2015 I reached out to the Samuel Waxman Cancer Research Foundation. I wanted to learn more about the organization and their work. I sat down with Marion Waxman who, with her husband, has been at the helm of SWCRF for 40 years. 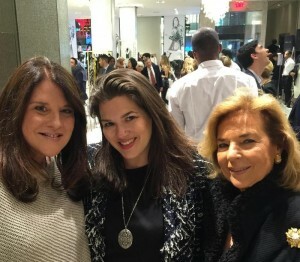 Her passion was contagious: a few cups of coffee later and I was part of A Hamptons Happening marketing team. 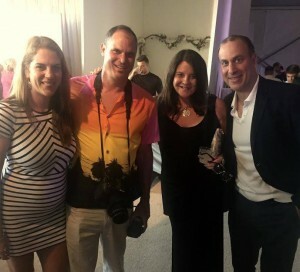 A Hamptons Happening brings together leaders from the worlds of cuisine, business and fashion to raise money in support of cutting-edge cancer research. The 2015 event broke all previous fundraising records, bringing in more than $500,000 for the SWCRF. 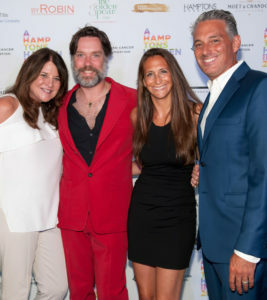 By August 2015, I had agreed to be the co-chair for A Hamptons Happening 2016. I consider it an honor to be working with such an amazing group of people. The 2016 event, honoring their 40th anniversary included an appearance at NASDAQ prior to the event and generated more media impressions than ever before. In 2017 I was once again a co-chair and helped bring top entertainment to the event for the first time. Contact me if you’d like to be involved with the event.